This is my story and a little insight into how and why we created Fraser Besant Lighting. 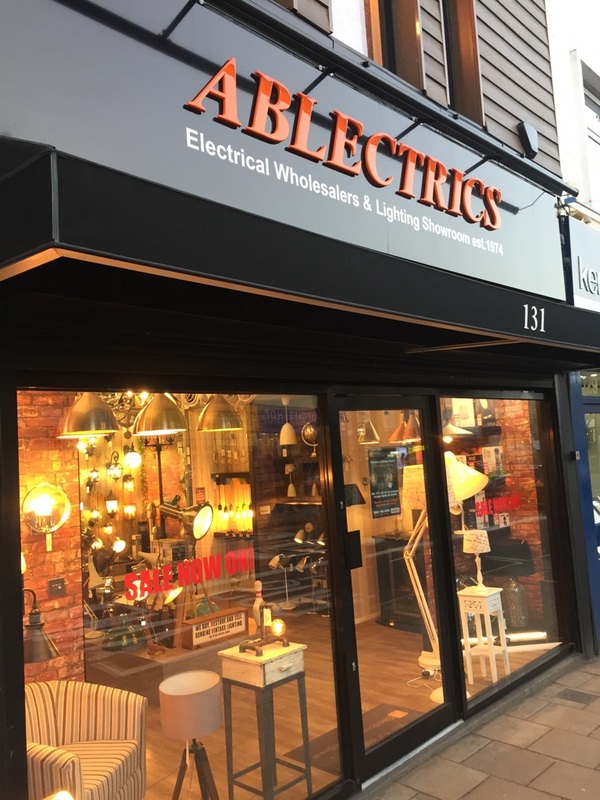 My father was an electrician by trade and in 1974 he opened up his own electrical wholesalers, Ablectrics, on the famous Gloucester Road in Bristol. I came along in 1985 and grew up either at school, at home or in the shop with my Dad. Aged 14 I started working in the shop as a Saturday assistant. I loved the atmosphere in the shop and was fascinated by the builders and tradesman who came in. I loved seeing new homes being built and helping customers with their enquiries. At 23 I began working full time in the shop and eventually took it over 3 years later. When my Dad retired we stopped running the electrical contracting side of the business. I wanted to concentrate on building up the wholesale business and I had further ideas to develop a new lighting showroom in the shop. This took several years of planning and was a big turning point for our family business. Alongside selling lighting I also began learning the art of lighting design. I travelled to all the major lighting shows and filled my time watching and learning from the leading industry leaders. I visited countless high end homes, hotels and venues to see designs in place and work out how the lighting was used. Offering a design and supply service seemed very popular with our customers. 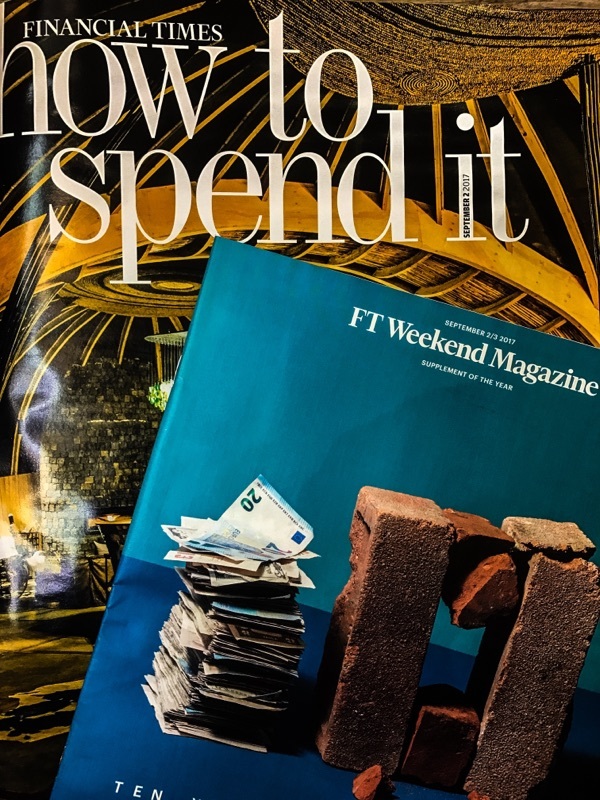 The business took off and before long I was working on Grand designs projects, in big named hotels and I even offered a design brief to Marco Pierre when he wanted to bring a restaurant franchise out in 2013. As the lighting showroom continued to grow and my design skills improved along came the shabby chic vintage look. This originated through the trendy coffee shops and bars. 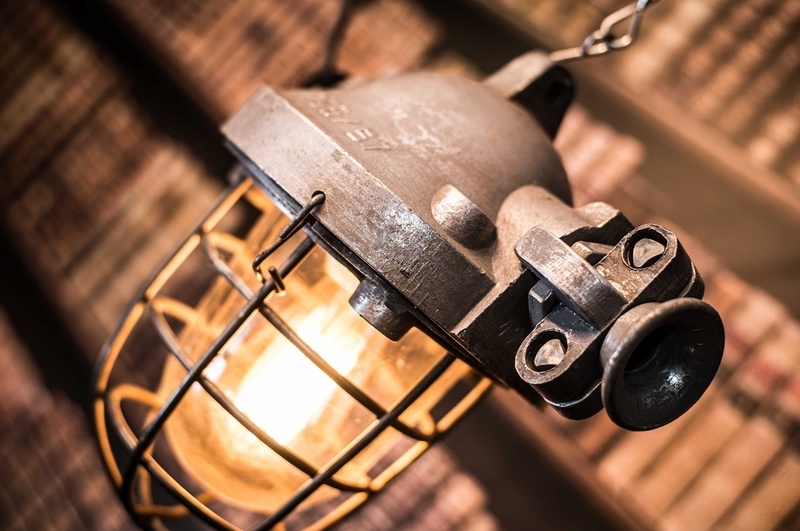 I was being asked more and more to source genuine vintage lights and involve them in my designs. When you are buying 50/100 year old lighting it often needs rewiring and restoring to make it safe for current UK regulations. This is when our workshop opened. I employed a modest team of skilled people including an ex theatre lighting technician to undertake the work. 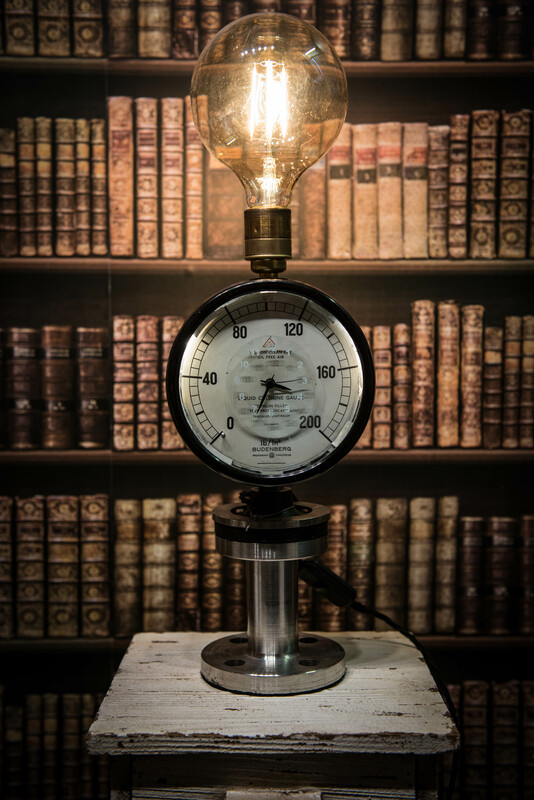 It was by chance one day I had 23 vintage factory lights being collected by one of our clients and a customer in the showroom asked if he could buy something similar for his home. I was able to find some more and called him back to let him know the good news. I then thought about displaying some of these genuine vintage lights in the showroom. They went like hot cakes. We quickly gained a great reputation for our range and the meticulous workmanship of the restored pieces. 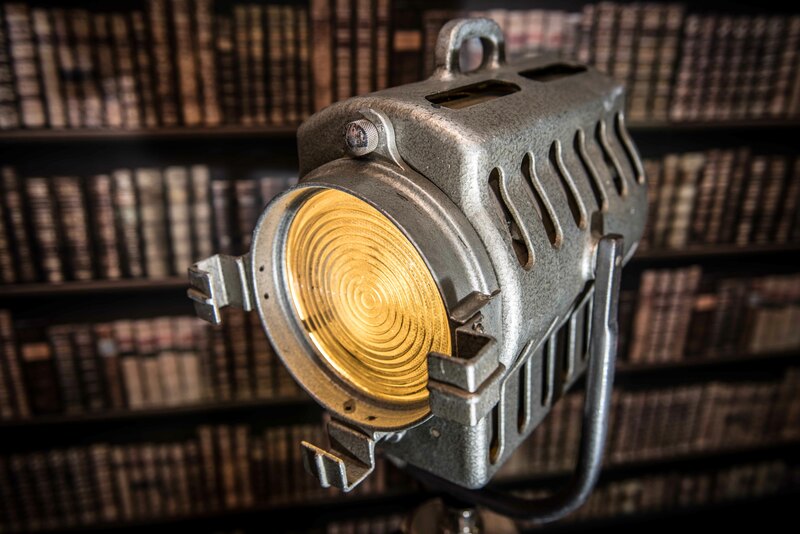 We specialized mainly in old theatre stage lights and film set tripod lights. Some examples are shown below. We still restore and sell these through the showroom and have some for sale on this website. In 2014 I met Jonno, he was a familiar face in the wholesalers being a local electrician. He was full of life and always busy and we got on like best friends, it felt like we had known each other for years. He too loved the vintage lifestyle and was always helping out in the workshop between his jobs as he enjoyed salvaging and restoring old and quirky pieces as much as me. One evening after a long day at work we discussed bringing out our own range of lighting as we both new products were missing from the market place. 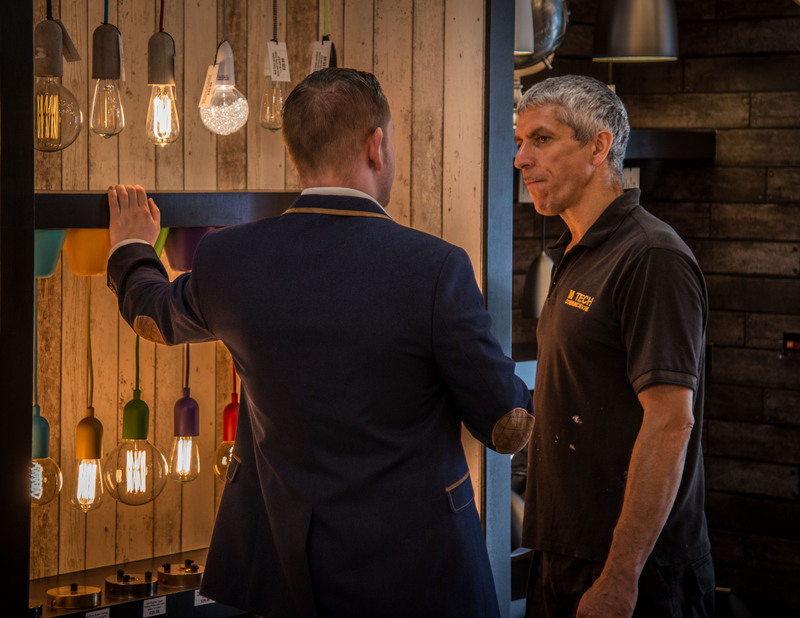 The conversation did not end there and a year later we decided to make our dream into a reality and Fraser Besant Lighting was born. It has been an incredible journey and the past year has been very challenging and demanding. From sourcing the metal to make our pendants to working out how to age and distress solid copper. But we had a dream to once again see manufacturing done back in the UK. During the 1950s it was widely acknowledged around the world that if it said it was made in the UK it was going to be the best. The majority of the vintage lights I had been restoring over the past 2 years were British made, they were 50/100 years old and still working. I too wanted to make lights that would still be working in 50 years time. The British are a proud bunch and somewhere along the way I feel we lost our way making and supplying goods. Competing with cheaper imports and steep rises in the cost of living have only gone to make things harder for us. But being British one does not shy away from a challenge. We were determined to make our lighting not only in the UK but right here in Bristol where I was born and raised. We have a great mixed skill set and work well together. We have many more designs and ideas in the pipeline and we hope you all love what we have created.